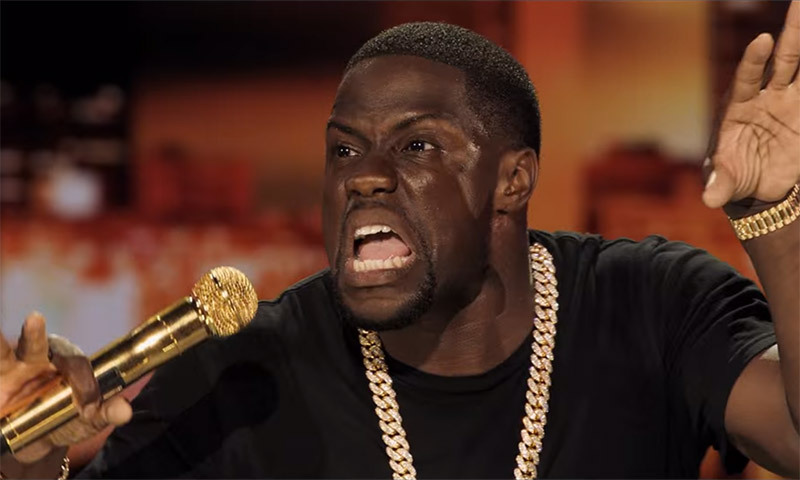 Comedian Kevin Hart is looking to “change the face of poker” and make the game “fun” again thanks to a new partnership with PokerStars. When the latest PokerStars Championship presented by Monte Carlo Casino® kicked off on April 25, Hart made the headlines for his appearance in the €100,000/$110,000 Super High Roller. Despite being more comfortable on stage or in front of a camera, Hart has started to find a home in high stakes tournaments. His recent appearance in Monte Carlo came after he spent time at the PokerStars Championship festival in the Bahamas back in January of this year. This growing affinity for PokerStars’ events and live tournaments appears to have led to a new deal between Hart and the online poker operator. After holding talks during his time in Monte Carlo, PokerStars announced that it has agreed a new partnership with the Hollywood star on April 29. Hart confirmed the news via his Facebook page with the help of Daniel Negreanu and pledged to inject some entertainment back into the game. “I am going to make poker fun, and working with PokerStars will give me the poker platform I need to do this,” said Hart. As well as taking part in various tournaments and promotions, Hart will leverage his own social network (which consists of more than 100 million followers) to implement his vision of what poker should be. The decision to partner with an A-lister like Hart has a number of obvious benefits for PokerStars, but perhaps the most interesting aspect of the deal is its focus on “fun.” As part of PokerStars’ gradual shift towards becoming a platform where newbies are incentivized to ante-up, Hart will appeal to a casual audience. What’s also interesting is that the partnership comes at a time when other tournament operators are trying to make their events less “serious” and more entertaining. Partypoker has employed John Duthie to oversee its new LIVE series and he’s stated that he wants to make it about the “players” rather than the company. In line with this player-friendly ethos, Matt Savage recently hosted the “social experiment.” The premise behind the one-off tournament inside LA’s Commerce Casino was that the use of electronic equipment was banned. Wanting to take the event back to how poker used to be before mobiles and social media took a hold of our lives, Savage hoped to create an atmosphere that was more friendly and entertaining. Despite being “an experiment,” more than 400 players joined the action and, according to a tweet by Savage, everyone was “happy” with the dynamic. With events such as this proving popular, PokerStars’ partnership with Hart seems to be a move designed to tap into this trend and, moreover, make its live tournaments more appealing for novice players.